Various reports have cited a report by The Edge Malaysia on Sunday saying that AirAsia CEO Tan Sri Tony Fernandes may be planning to sell niche sports car company Caterham Cars and its Formula One team. Citing an unnamed source, the financial publication reported that the 50-year old was looking for around 350 million pounds (RM1.9 billion) for the sale of Caterham Group and all its assets. It also said an information memorandum pertaining to the sale was being circulated in the Middle East. Fernandes, who bought Caterham in 2011, reportedly warned in January that he would pull out from Formula One if the team’s performance didn’t improve in 2014. “If we’re at the back, I don’t think I’m going to carry on. Nothing is set in stone, but after five years with no points, there is a limit to one’s patience, money and motivation,” he said. Caterham F1 has not scored a point since it entered the sport as Lotus Racing in 2010, and are currently running last in the championship. Rumours surfaced earlier this year that the Renault Alpine-Caterham sports car partnership, which was announced in 2012, was on the brink of collapse following alleged tensions between Renault and Caterham. There were even plans to develop a crossover SUV and subcompact car with Renault, and assemble them in Asia. 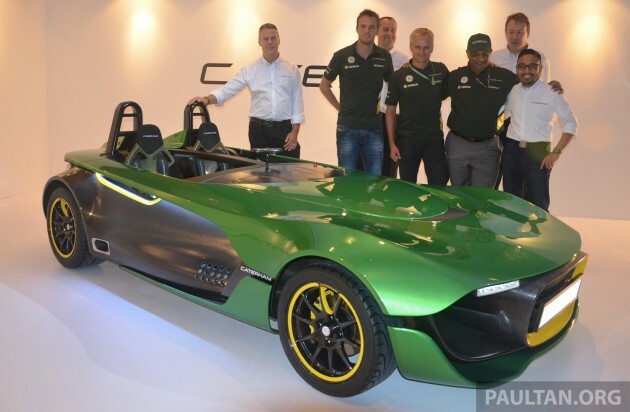 In recent years, Caterham has launched new top- and bottom-of-the-range variants of its legendary Seven sports car, announced a bikes division and premiered the striking AeroSeven concept car in Singapore. Way to go Tony. You should have been elected p1 chairman. After 30 years of not making it, it should have been sold off…..
Don’t sell it at 1 euro like what potong did on MV Agusta..
Biz is biz… if it’s not performing… just get rid of it. Welldone! Or I would say.. caterham u r fired. No vcs.. no airbags. . No roof.. not safe..
Thumbs up.. Tony.. at least you ve the guts to sell it.. any buyer? Just declare bankrupt..or sell it at 99cent .. He rather spend the money on QPR football team with that huge sum of money. QPR just won the pay-off championships and will be promoted to Premier League next season, with that money he can buy more players. Why not channel the proceeds to CHARITY instead of all these non essentials.Already QPR has been promoted back to Premier League. At least Tan Sri knows WHEN to let go an unprofitable venture,unlike Protong which forever wants GAYA,SYIOK,POMP(GSP,not GST)and refuse to ditch AILING PARASITIC LOTUS. Quitting the ultra expensive f1 racing is the right thing to do, but isn’t too soon to sell Caterham? With all the new exciting models in the pipeline, the brand certainly has the potential to be successful and profitable. It’s an opportunity too good to be missed. This guy got no interest in motoring. With so much coverage for F1, one wonders whether there’s any genuine F1 fan around. 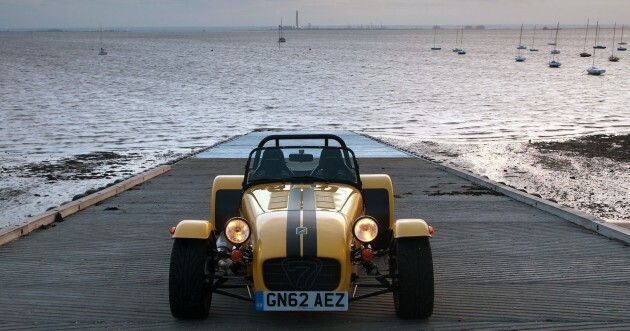 Somebody so start a Kickstarter on Caterham. Bring back the brand to sports enthusiasts. He does not know anything about motoring, now going down to bankruptcy. Apparently, Tony & Kamarudin Meranun had just dismissed the sale of Caterham rumours, but they are definitely in search of potential investors. as Jaybond said.. Tony just made a statement today that its not for sale.. could be true.. or just a typical PR spin.. if anything, im very sure he knows what he is doing. Going into F1 was not very wise. He should have developed Caterham with Renault….but now, water under the bridge. Knowing Sir Tony,he is an excellent businessman with outstanding business acumen.Some love him,some envy.But we know in business, its all about contacts.F1,EPL,Caterham.Big players playground.Risk is always there,big or small,whatever the venture is.He is brave enough to embark,and brave enough to let go.Mark of a true gentleman.We all honestly know that he can make lots lots more from AirAsia, Tune ventures etc, but at least he is creating a niche of attainable luxury to us.Was really hoping for a Malaysian made Caterham-based car or bike,because we know it will not cost as much. Hats off to this guy, he should look more at charity than putting his money into big toys. Previous Post: Mercedes-Benz C 450 AMG Sport sighted in the wild!